Pre heat oven to 180°C. Place butter into mixing bowl and melt 2 min / 60°C / speed 4. Add all remaining ingredients and mix 20 sec / speed 5. 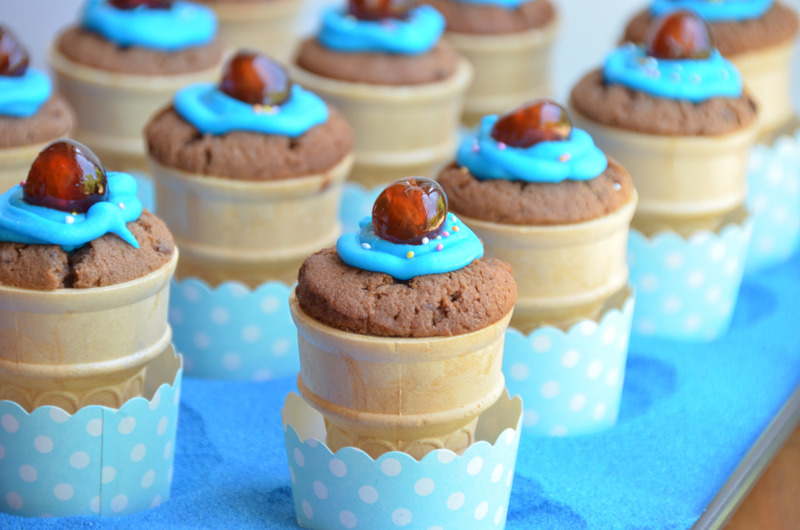 ¾ fill each ice cream cone and stand in a muffin tray to assist balancing whilst cooking. Bake for 20 mins or until inserted skewer comes out clean. Allow to cool before icing. Pre heat oven to 180°C. Melt butter in a saucepan or microwave. Combine remaining ingredients in a bowl and mix in melted butter. ¾ fill each ice cream cone and stand in a muffin tray to assist balancing whilst cooking. Bake for 20 mins or until inserted skewer comes out clean. Allow to cool before icing. 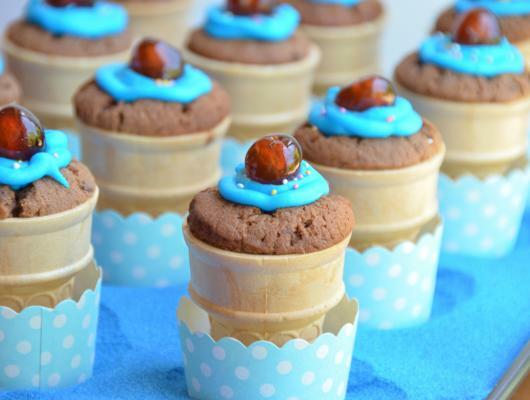 Chocolate cupcakes topped with royal icing in little ice cream cones, perfect for kid's parties.